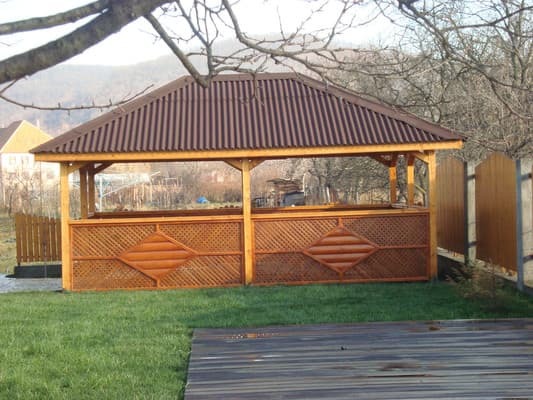 Private Manor "Pid Zelenym Dakhom" is located in the Bene village in Beregovskiy region, 4 km away from the border with Hungary. 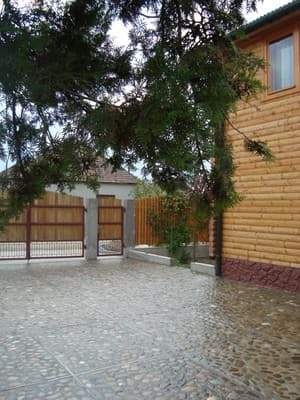 Cottage is a two-storey wooden house with a terrace and a large green yard. Cottage offers comfortable rooms with all amenities, located on the 1st floor of the house. All rooms are made of environmentally friendly materials; the furniture is made of wood. The cottage has a fully equipped kitchen for cooking, living-dining room with a large table, a sofa and a satellite TV, free Wi-Fi. There is a playground, gazebo for relaxing, BBQ grill, swings, free parking for cars. 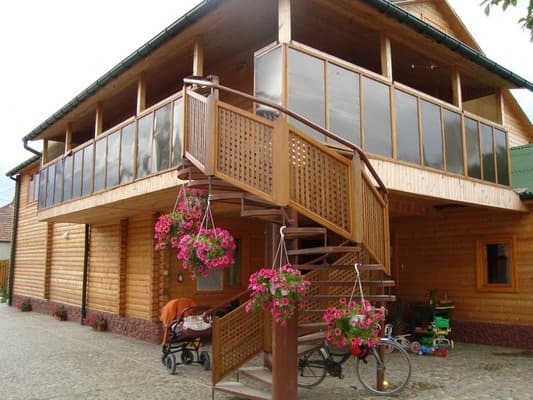 Distance from Mukachevo is 40 km, from the shore - 10 km, from the nearest ski lift (Pilipets village) - 115 km. In the estate there is a kitchen for self-cooking. 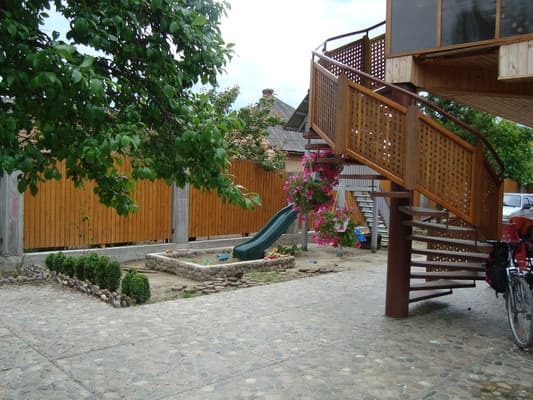 Private Manor "Pid Zelenym Dakhom" is located in the Bene village in Beregovskiy region, 4 km away from the border with Hungary. You can reach our manor by train to Mukachevo, then by shuttle bus / bus / taxi. Or ask for transfer service availability.